Have you being looking through the essential oils catalog that you took home from a essential oils party? You are excited! You had been browsing over many party plan businesses, but could not find products you could believe in or trust until now. And it has finally happened, you have the opportunity to become a Doterra Wellness Advocate, so now you are excited to be on your way to making some extra money from home! So, get started today! Don’t Stress! We can help! Well, the first thing to do is to join Doterra and get yourself a product enrollment kit, we would suggest a Home Essentials kit and once you have received it in the post and check out the products consider purchasing a Doterra class in a box. 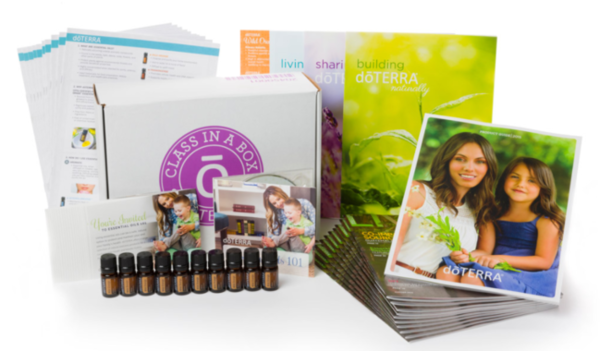 The reason Doterra has created the Class in a Box Kit is because the kit contains all the necessary items you will need to plan and host a successful class or party. In addition to you enrollment kit products, the the party kit will be all you need to get you started on the road to making money from home, but the key to a successful essential oil home party is create a mindset and a persona which will be explained below. There are ten things you can do to put your Doterra essential oil classes on a firm foundation. After all, you are investing your time, money, and energy in something you believe will benefit you and your family financially so do it right! You have sent out the invites, you have set a time and date, and your location is ready to go. Now it’s time to prepare for your guests to arrive. When hosting a class or party, keep in mind these simple strategies to ensure both you and your guests get the most out of your sharing experience. So, create a mindset and a persona that shows confidence, trust and a positive outlook. Below I have made a list that might help you move in the right direction. Develop determination: By keeping your eye on your vision of a thriving, profitable and never giving up attitude, you embody the strength and determination to build great fortunes. Have a positive outlook: It will attract positive circumstances and people into your life. You become a beacon of light for others to follow, enabling you to become the successful individual you were meant to be. Love what you do: Your enthusiasm will sell products because people will love what you love. People will book an essential oils class with you because they are caught up in your excitement and see how it will benefit them. They will want to be part of your group because they respect you and want to be part of what you are doing. 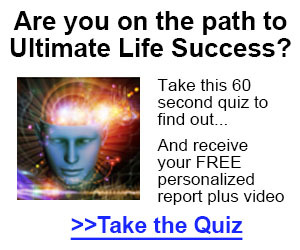 Envision your success: How do you want your Doterra business to change your life? What is it that you want to provide for you and your family? How much money will you need to earn to attain these things? In what time frame? Cut pictures from magazines and make a dream board. Continually remind yourself what success means to you. This will be your life plan, so make it big! Compile your “who do you know” list: Don’t leave anyone off your list. Business acquaintances, neighbors, family, church members, people on your kid’s sports teams. They are all possibilities for hosting Doterra essential oil classes or starting a business. Welcome your guests and give them a breakdown of the class schedule. Since you are the host, you can do this yourself or delegate to someone else. The idea is to make sure everyone knows the purpose of the meeting and what they can expect. If you want to do something different in your parties consider some of these essential oil class ideas: Healthy Family and Kids, Home Spa Party, Cooking with Essential Oils, Cleanse and Restore, Essential Skin Care, Back to School, Green Cleaning, Healthy Mama, or Healthy Baby. It is the host’s responsibility to make sure the presenter (if its not you) to knows what’s going on beforehand. Make sure that you inform your presenter how much time he or she has and the key points you want covered. When it’s their turn, all you need to do is simply introduce them. When the presentation is done, this is where you can let people sample and order any essential oils, and to sign up as new Wellness Advocates or Wholesale Customers. Take a few moments toward the end and plan out the next class. Invite the presenter up front and give them a gift. Extend an invitation for someone else to host the next class. Provide your guests with resources, links to websites, handouts, and other essential oil information. Hosting a class means being organized. As you take on the task of hosting, you will want to keep your thoughts and ideas in line with your purpose. Checklists help you manage your time, delegate tasks, and track your progress. Remember, you can always add tasks and items that fit your needs. Speak to everyone in the room and ask them how the felt the class went and if they have any question. Guide the conversation towards health and wellness issues. Note: In a class of about 10 there should be someone interested in retail, someone interested in purchasing wholesale and someone interested earning extra money from home, so a chat with them will help you understand who is who. Get organized: Find a place in your home where you can conduct business. Get a separate checking account. Order business supplies, such as business cards, window stickers for your car, a logo shirt. Most companies offer these for purchase. Buy a log book to keep track of all of your contacts, however for the technical among us I would suggest Mailchimp. Develop your story: Prepare it and practice it. Your guests want to hear why you joined Doterra. What is it you love about their product? Tell the story from your heart. Be honest, authentic, and brief (2-3 minutes max). Learn all you can about Doterra products and how to use them: This knowledge will not only impress your guests, but will give you credibility in their eyes. You will be more comfortable at your parties and not worrying about someone asking you a question that you don’t have an answer for. Participate in the Doterra trainings. 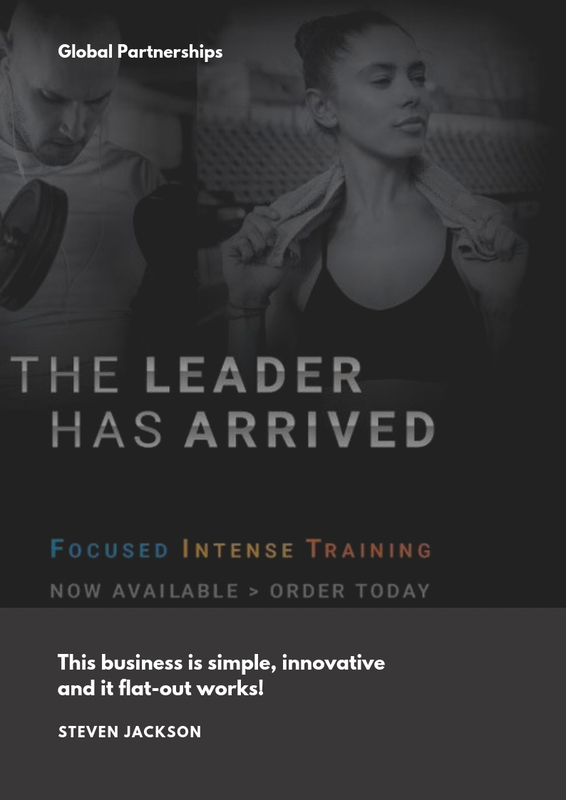 Besides hearing all the announcements first, you will get valuable training on the products, working with your hostesses, and coaching your team members. They are usually provided at no cost, but will give you a wealth of information. Take it a step at a time. Each step leads you closer to your personal vision of success. Don’t skip any steps. It will only weaken your structure. If running Doterra essential oil classes and selling essential oils from home is for you and you wish to know more, please Click here or PM me and I will get back to you asap…. Pineal Detox Pineal Detox Ebook and Audiobook with Bonus Isochronic MP3. Natural Treatments for Psoriasis and Psoriatic Arthritis Are You Ready to Find Out Everything You Need to Know About Psoriasis and Psoriatic Arthritis? Tinnitus - Cure for Tinnitus Need a cure for tinnitus and eliminate ringing ears for good? Learn 11 proven ways to reduce and even cure tinnitus today!